Chairman and CEO Michael Dell and CHRO Steve Price of Dell Technologies discuss the importance of a human focus in the face of rapid technology change and its role in driving better outcomes for all social enterprise stakeholders. Dell’s commitment to human progress and its three-pronged people philosophy are at the heart of its successful and sustained business performance. 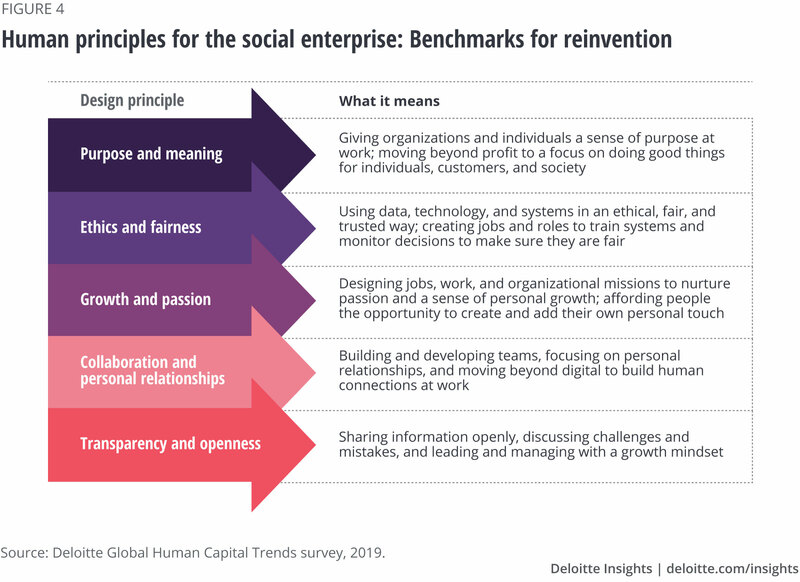 The five design principles for the social enterprise give us the why for reinvention. But where can we direct our efforts in order to make a meaningful impact? 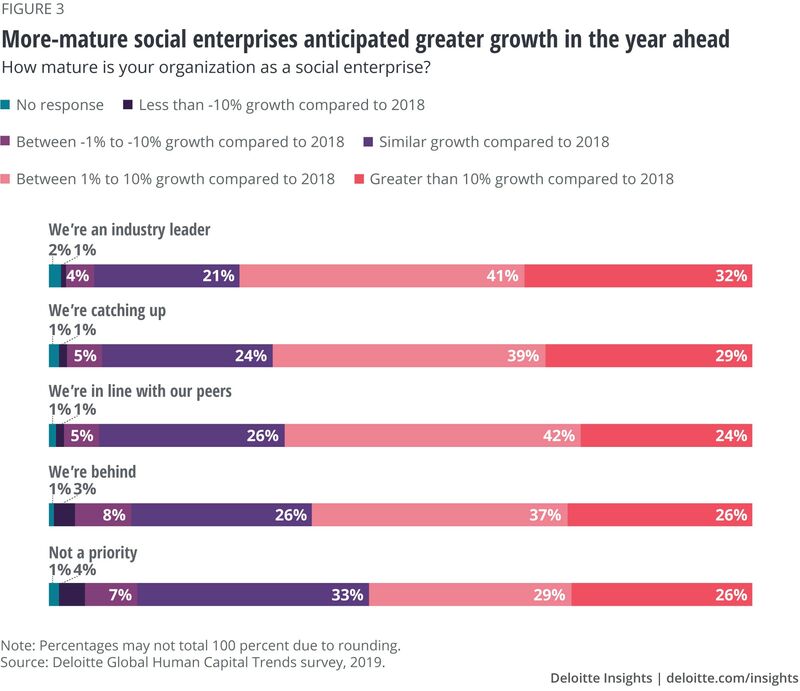 To address this question, we have organized our human capital trends for 2019 into three actionable categories. 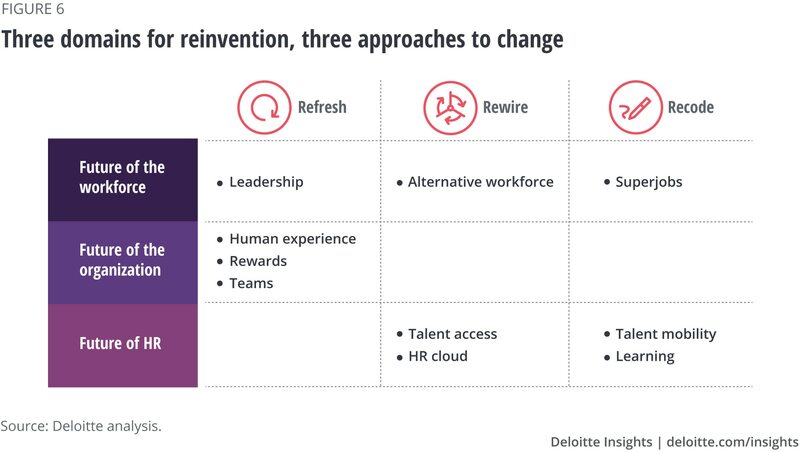 The first deals with the future of the workforce: how organizations should adapt to the forces restructuring job and work design, the open talent economy, and leadership. The second deals with thefuture of the organization: how teams, networks, and new approaches to rewards are driving business performance. And the third deals with thefuture of HR: how the function is stepping up to the challenge of redesigning its capabilities, technologies, and focus to lead transformation in HR and across the enterprise. HR cloud: A launch pad, not a destination. Cloud computing has gone mainstream, and organizations have spent millions on new platforms to make HR systems more engaging, personalized, and data-driven. Yet while cloud systems have gone a long way toward integrating the messy back office of HR, they aren’t all that’s needed to better support innovation, raise employee productivity, and lower cost. 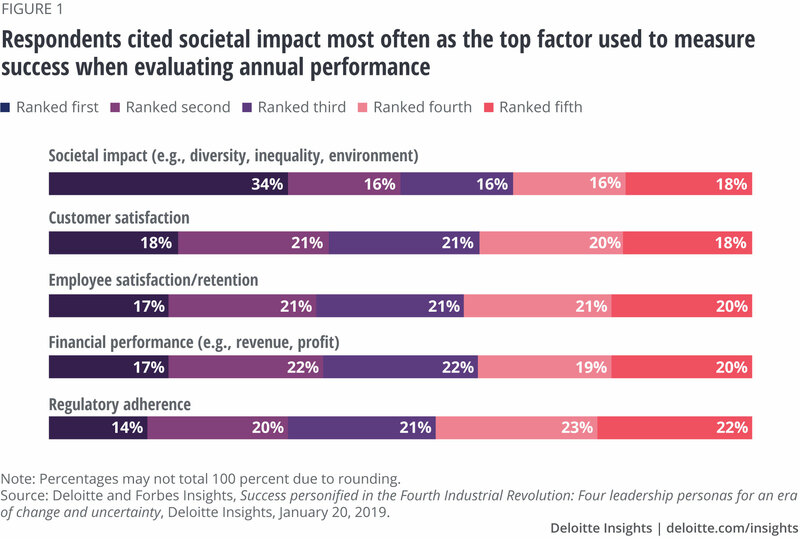 In 2019, organizations must rethink their HR technology strategy, considering cloud as a foundation and exploring innovative new platforms, automation, and AI-based tools to complement their core systems.